Game world now is streamed and created on the fly after initial generation of the world. This allows the game to have more stuff in the world without crashing the system memory. New generation is also a lot faster and can be sent to other players with ease. We remade the multiplayer with a new multiplayer system, which allows easier access to each other’s game as the traffic is handled by the server. The New system also allows us to do more things. We had to design and remake everything on all the systems, which control the multiplayer of the game. However it was worth the effort! 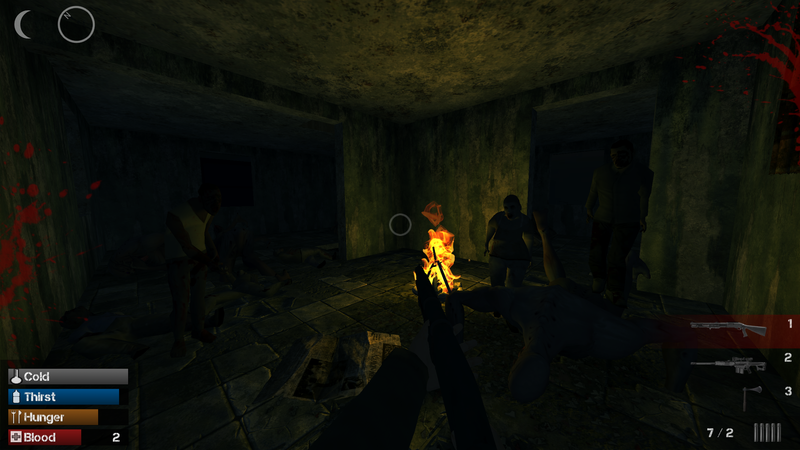 We added a new NPC base occupied by hostile characters. The Base is led by cult leader Lucius Blackwood. Together they form the Fallen Order. Take care when approaching the base as they might capture you and demand you to answer for your actions. You can try to join them or challenge them. Your fate is in your hands when you are dealing with the Fallen Order. Drivable cars now have better physics. Cars now have improved audio, effects and graphics. People in cars now move smoothly with the car instead of bugging around. Broken cars now have optimized graphics, which allows the city to have a lot more of them. 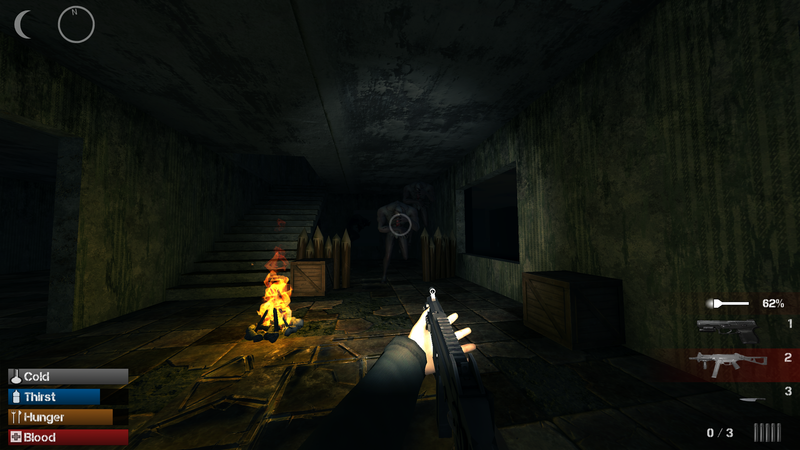 Large zombies have been updated with new graphics, sounds and animations. They now also new behavior to fight off players. Ghost now seeks for players and does a charging attack instead of the old instant kill. You can now interact with animals. This allows you to tame them and to have a companion while surviving in the city. Tamed animals follow you and fight with you against the monsters. They gain experience from fighting and become stronger. Crafting an object is now on default at leg height and can be adjusted with scroll wheel. Smelting ammo requires a full clip to prevent player from making infinite ammo. Added a brand new system for throwable items. The First throwable item is a flare. It attracts enemies. You can for instance use it to escape enemies that are chasing you. Updated shotgun with new graphics. Added a shotgun reload sound. Firearms now do more damage to monsters. New onair detection for player. This improves behaviour when on ledges and in stairs. Updated player crouch animations. Added a new player skin. Player movement animation now wont stop some attack animations from playing when attacking repeatedly. Added new vaulting & gun equip sounds. Added a new walking on wood sound effect. Walking on tiles SFX:s have now increased volume. 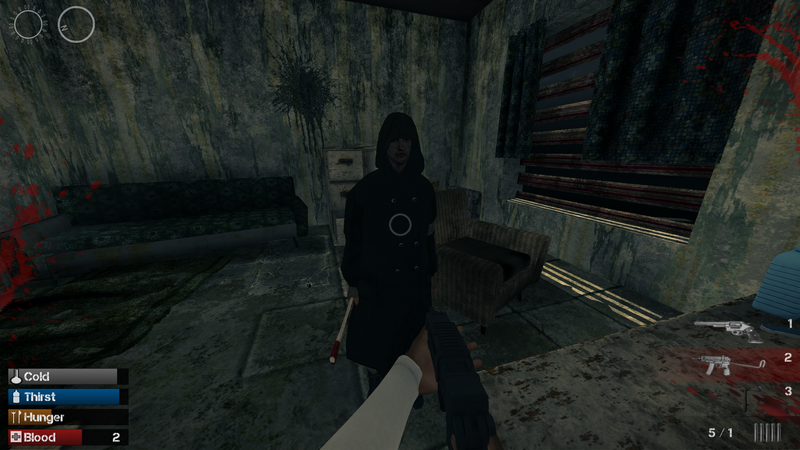 Fixed menu player character. Added an ability to change character view angles in menu. Updated footer with better graphics for the buttons. Profile menu now shows friends that are online & in-game in Steam. Added more unique UI icons to different objects. Stopped zombie corpse colliders from going wild. Game now saves online stats during game.